1. The use of imported American standard socket 6 Taiwan. 2. 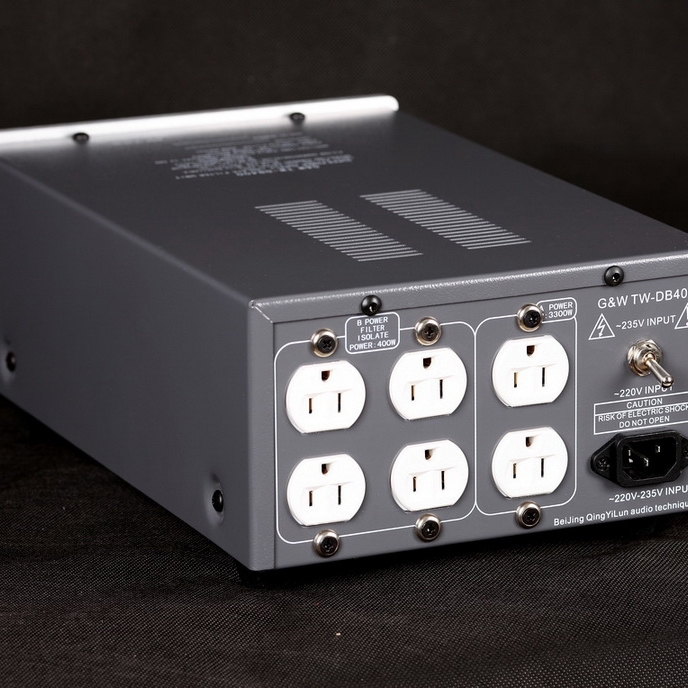 Output 2-bit universal socket through, the output power of 3300W; output 4-bit socket with a filter with isolation, output power 400W. 3. The use of fine brushed aluminum front panel with digital backlit table. 4. With aluminum switch guardrail inlet air switch. 5. Japan imported EI-type core 500-watt isolation transformers. 1. Filter 1KHZ above the AC power network noise and interference. 2. 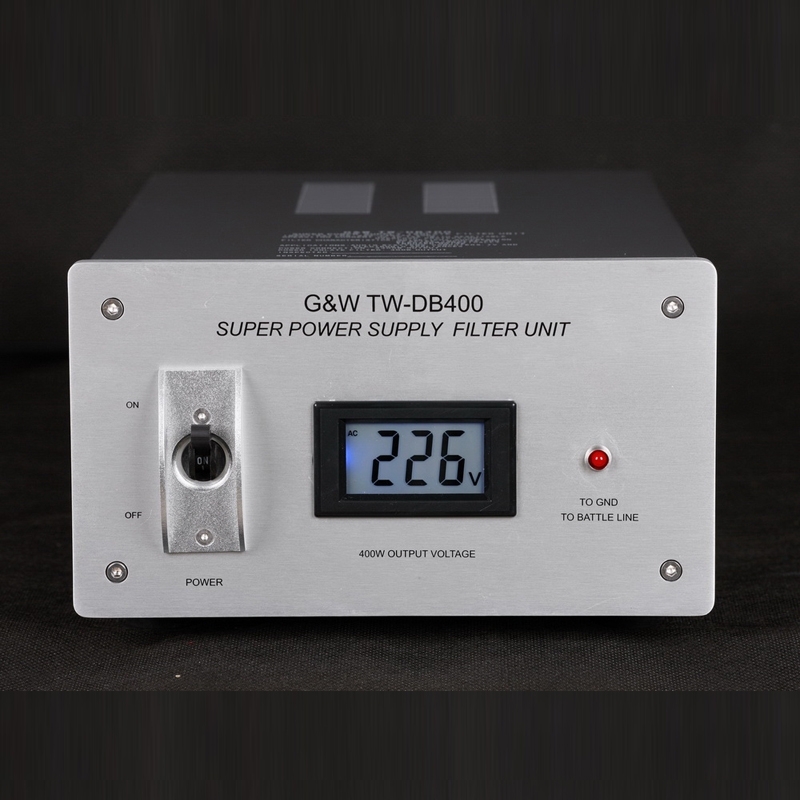 Filter out the interference noise such as thunder and lightning, storm, starter, switch lamp, fluorescent lamp, washing machine rotation, refrigerator starting and computer running. 3 anti-lightning air switch jump and double protection circuit. 1. For 1 million to 150,000 yuan of audio recording and playback AV home theater image equipment power supply system. 2. 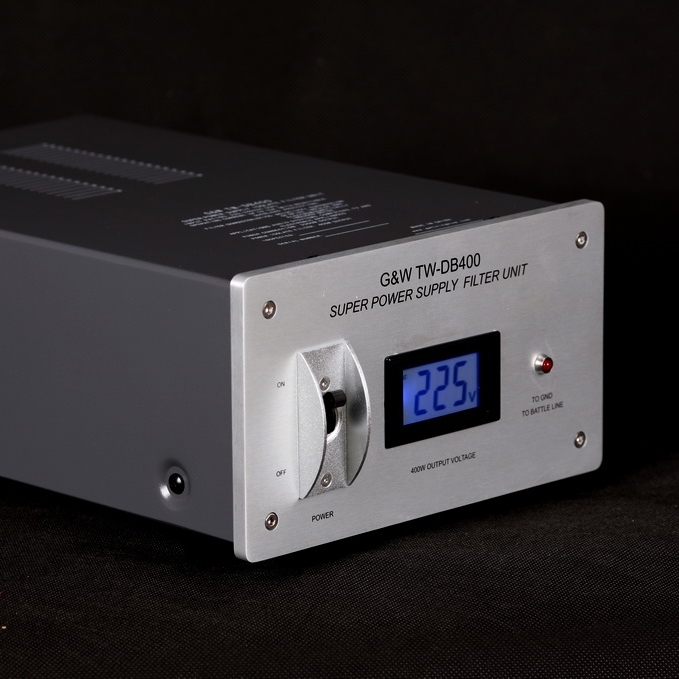 Advanced measuring instruments and precision computer power supply system. 1. With 3x1.5 square meters of rice 2 meters long power cord.